It’s time to get the job done. Washington Highway 522 is a 26-mile thoroughfare connecting I-5 and I-405 with the City of Monroe. 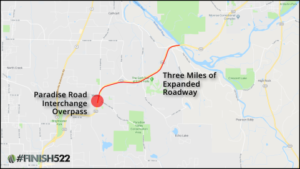 While most of the roadway has expanded to four lanes with safety upgrades, the Paradise Road interchange and a three-mile stretch between Maltby and the Snohomish River reduce to two lanes which is causing significant hardship for commuters, first responders, and even fish trying to migrate. 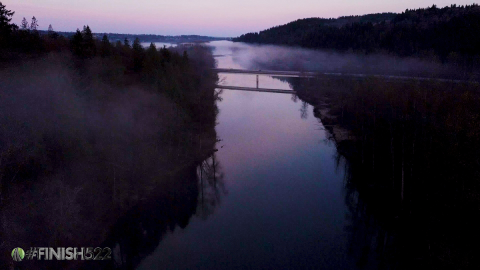 It’s time for the legislature to act and fund the full completion of this project. Sign the petition below today and let’s get this job done! 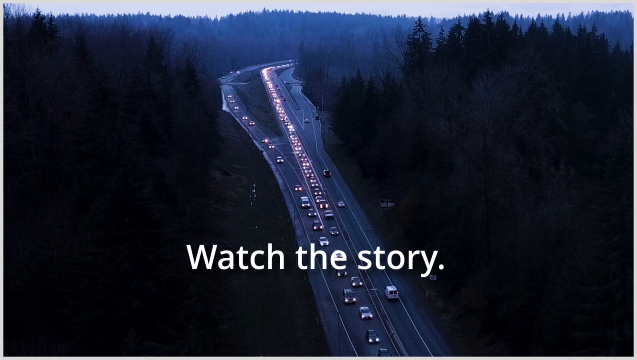 Your signature on this petition is important and will help the Washington State Legislature understand the number of people who are negatively impacted by highway 522 congestion. Your voice needs to be heard and the best way to accomplish that is to contact your legislator. Use the links below to find and email or phone your representatives. Just enter your address and you can identify all of your local and federal representatives. When you have identified your representatives, use this site to get their email address. The squeaky wheel gets the grease! Pick up the phone and let them hear from you! Online presence and communications by Southam Creative.